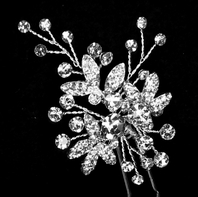 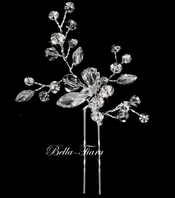 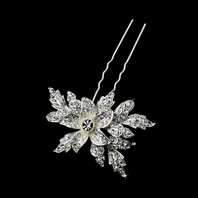 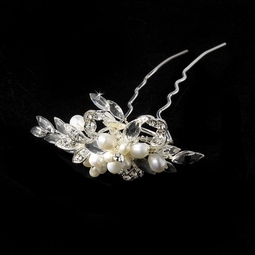 Description: Timeless and stunning, this bridal hairpin features freshwater pearls clustered at the center of a rhinestone flower design. 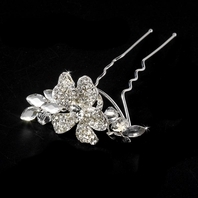 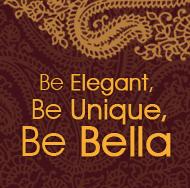 Add a touch of elegance to your wedding hairstyle. 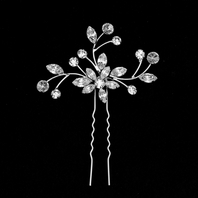 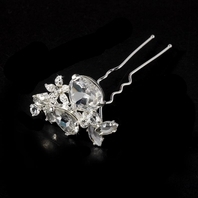 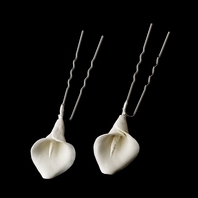 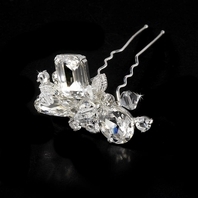 The ornamented portion of the pin measures 2" wide and 1" tall.